Knit your very own Chevron Love Slouch Hat! 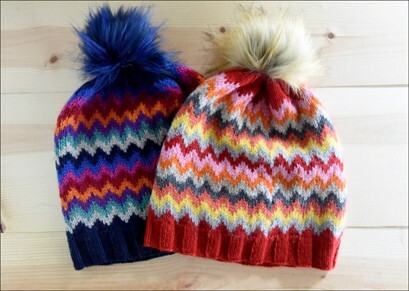 for you to knit a great slouchy hat- top it with a Pom, or not! ONE 30g Skein of your Main Color, and SEVEN 10g Skeins in contrasting colors. Kit also includes the pattern, which will be emailed to you at time of shipping. 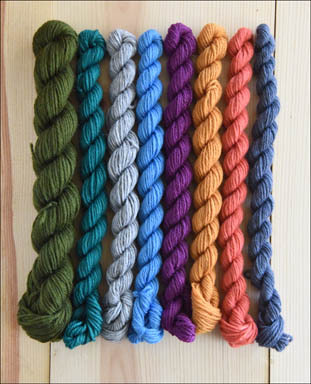 please let us know your Ravelry name in the Special Instructions box at check out. **Please note: Colors in kit may vary slightly due to availability**. 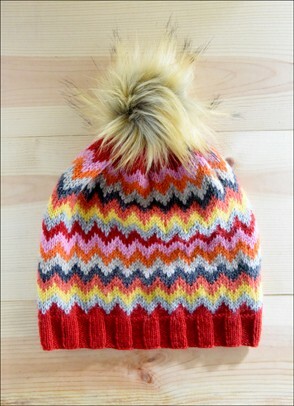 PomPom (Optional) * -- Please Select -- Yes Please! (Make it COLORFUL!) Yes Please! (Random Neutral Color) (+$6.00) No Pom for me, thanks!